Central Organisation for Railway Electrification (CORE) was set up in 1979 under the Ministry of Railways, at Allahabad. 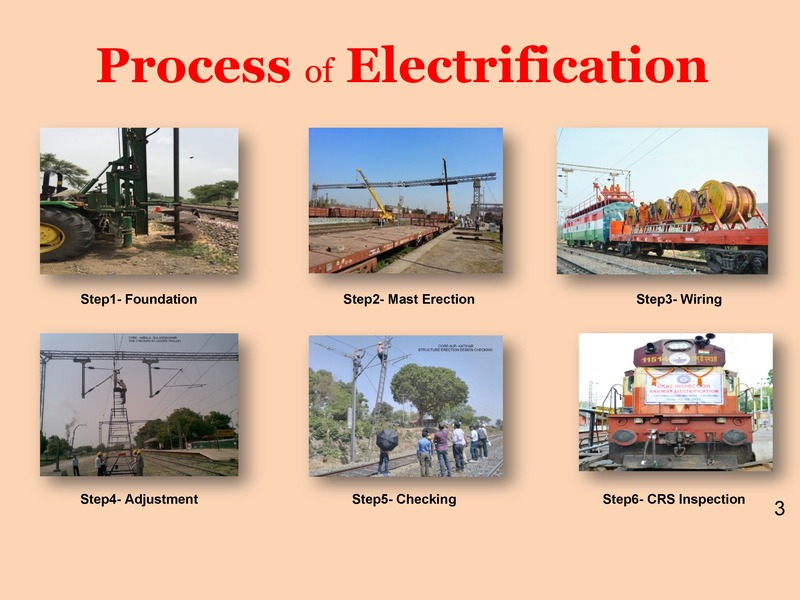 The responsibility entrusted was to carryout railway electrification over the entire network of Indian Railways. The organization is headed by a General Manager. It has various project units namely: Ambala, Lucknow, Jaipur, Secunderabad, Chennai, Bhubaneshwar, Ahmedabad, New Jalpaigudi, Jabalpur, Kolkota and Danapur. These units are in the process of electrifying important Railway routes for harnessing maximum benefits from their traffic potential. As of now about 65% of freight and 54% of passenger traffic is hauled by electric traction on Indian Railways. 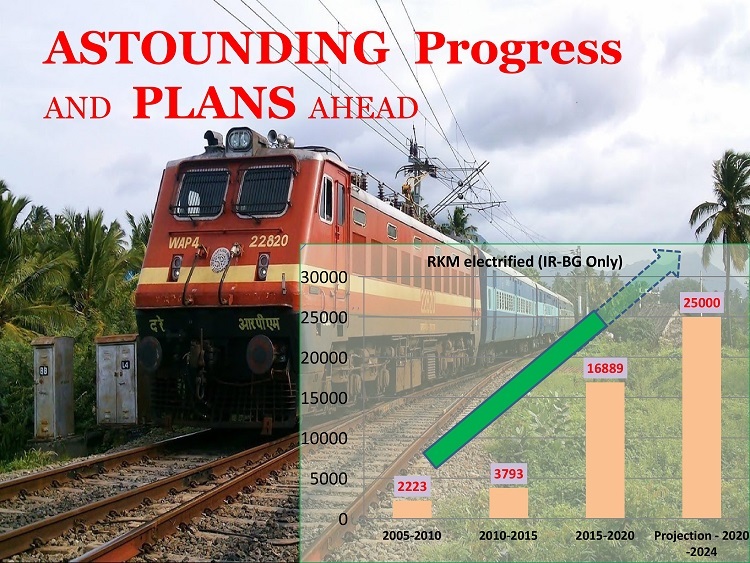 During the year 2017-18, 3155 RKM has been electrified by CORE, which is highest ever achievement in the history of this organisation. It is 3.14 time the electrification done in last year and 2.92 time the average electrification done from 2014-17.